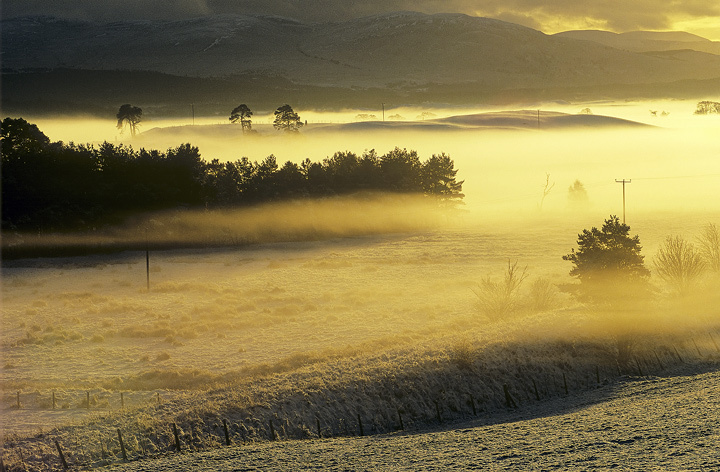 Golden backlit valley mist hangs wraith like above the river Spey near to Grantown. The fields beneath just visible through the freezing swirl of gold is clearly deep frozen and as the sun warms it up the layer of mist currently floating over its surface will lift and disperse in the morning warmth. for the moment it is a world of mysterious magic and golden fantasy.